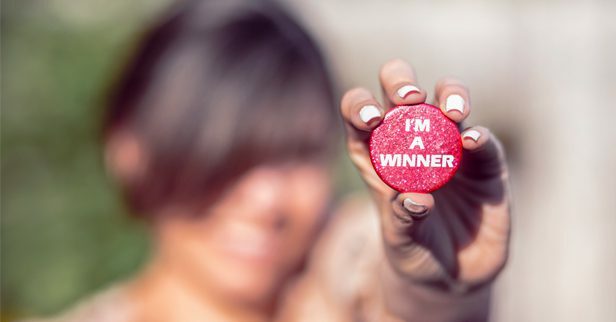 I have been wanting to write an article about the Performance Management cycle for some time now – it is the mechanism by which assessment and reward is determined for every single employee. For anyone who isn’t familiar with this, the setting of performance objectives is at the heart of the process, these are then evaluated on an on-going basis to ensure that the firm is able to maximise performance and individual potential. In reality at the start of each year (normally) the objectives are churned out without too much consideration of how these may impact the individual and their ability to achieve these goals. The chart below shows the relationship between the five zones between Pressure and Performance. If everyone within an organisation was aware of this then, imagine what impact it could have on the Performance Management of executives, leaders, managing directors, managers and all employees! It is evident from the chart, that the ‘Stretch’ zone, is the optimum point at which the individual is achieving high performance for the organisation and a sense of increased self-esteem, engagement and happiness personally. However, the tipping point comes when the stretch becomes a strain leading to poor judgement and decision making due to fatigue. Possibly due to the Amygdala hijack? (A great article appeared in Harvard Business Review that you may find useful to understand this more. These days employers are faced with the ‘revolving door’ effect, where it is difficult to retain graduates for a long length of time, e.g beyond 5 years. I would also suggest that this would apply to most employees , not just the graduates.. 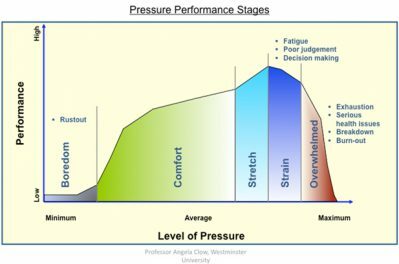 So, armed with this insight, if you were to incorporate an appropriate challenging goal which would also take into account awareness of the stages of the pressure/ performance. The challenging goal could also be developmental for the individual so this stretch brings out the best in the individual. So Executives keep yourselves in the stretch and challenging zone yourself, help your employees to work here too and watch the world of happiness, success and performance unfold. Pipaltree can help you with Mindfulness Meditation, Performance Management and Managing your Energy for Results. What are your thoughts on this? I would love to hear from you about your own experience of levels of pressure and performance. And, please also share your thoughts on mindful decisions making within organisations. Leave me a comment or drop me an email.